Senator Dianne Feinstein (above), Democrat of California, said potential evidence against President Trump is coming partly from ‘‘the continual tweets’’ from the White House itself. 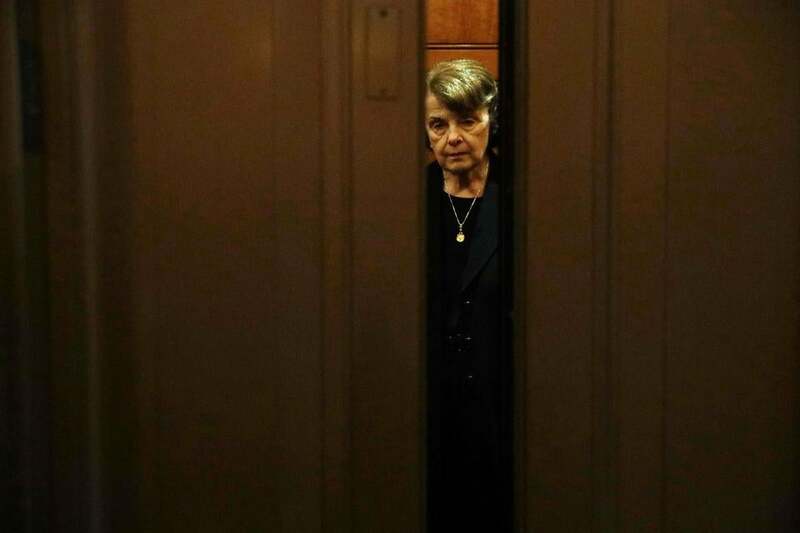 Above: Feinstein on Friday. WASHINGTON — President Trump unleashed an extraordinary assault on the FBI on Sunday, saying its reputation was “in tatters,’’ as the top Democrat on the Senate Judiciary Committee declared that “what we’re beginning to see is the putting together of a case of obstruction of justice” against Trump. Senator Dianne Feinstein, Democrat of California, said the potential evidence against the president is coming partly from ‘‘the continual tweets’’ from the White House itself. Trump renewed attacks on the FBI, and on the investigation by special counsel Robert Mueller, two days after ousted national security adviser Michael Flynn agreed to cooperate with the inquiry as part of a plea agreement. The Kremlin says a conversation between Michael Flynn and a Russian ambassador did not influence Vladimir Putin’s response to US sanctions. “This shows a Trump associate negotiating with the Russians against US policy and interests before Donald Trump took office and after it was announced that Russia had interfered in our election,” she said. Feinstein said the Senate Judiciary Committee has seen increasing signs of obstruc-tion. “We see this in the indictments, the four indictments, and pleas that have just taken place, and some of the comments that are being made,” said Feinstein, who is also a member of the Senate Intelligence Committee. Feinstein was referring to former Trump campaign manager Paul Manafort and his associate Rick Gates, who face charges including money laundering uncovered by Mueller’s investigation; former campaign adviser George Papadopoulos; and Flynn. The latter two pleaded guilty to lying to the FBI. In his Twitter message, Trump said the FBI’s reputation is the “worst in history” and he denied that he had told Comey to end the Flynn investigation. Comey testified before Congress in May that Trump had asked him to drop the inquiry into Flynn one day after Trump had fired Flynn. Comey declined to do so, and the president fired him several months later. In a 6:15 a.m. tweet Sunday, the president called Comey a liar and said the news media had spread falsehoods. “I never asked Comey to stop investigating Flynn. Just more Fake News covering another Comey lie!” Trump wrote. He said in a tweet that the agency’s reputation was in ruins because of Comey’s tenure, during which the FBI conducted what he called the “phony and dishonest” investigation into the private e-mail server used by his rival in the 2016 election, Hillary Clinton. The attack was one of the harshest in a generation on an independent agency that two days earlier had helped secure a guilty plea and a pledge of cooperation from Flynn. A president who has positioned himself as devoted to law and order is now in a public dispute with the country’s top law enforcement agents. Thomas O’Connor, president of the association representing FBI agents, defended their integrity. “FBI agents are dedicated to their mission,” he said, asserting that they demonstrated “unwavering integrity and professionalism” on the job. “Suggesting otherwise is simply false,” he added. Trump’s efforts to shift the attention to Clinton after Flynn’s guilty plea began Saturday night, when he assailed the Justice Department. On Sunday, the president also seized on revelations that earlier this summer Mueller reassigned one of his top investigators on the Russia inquiry because of concerns that the agent, Peter Strzok, had sent text messages that showed a bias against Trump. Trump also retweeted two Twitter posts about Strzok, including one urging Christopher A. Wray, the current FBI director, to “clean house” at the agency because of the revelations about Strzok. Robert E. Anderson Jr., a former top spy hunter at the bureau, said the president’s comments would have a dispiriting effect on FBI morale, especially among those who are not involved in political investigations. For the second time in 12 hours, the president took note of ABC News’s decision to suspend Brian Ross, a top investigative reporter, after Ross erroneously reported Friday that Flynn would testify that Trump had directed him to talk with Russians during the campaign. Flynn told investigators that he was directed to talk with Russians during the transition, after the election. Reacting to a drop in the stock market after Ross’s erroneous report, Trump urged investors to sue ABC. “People who lost money when the stock market went down 350 points based on the false and dishonest reporting of Brian Ross of @ABC News (he has been suspended), should consider hiring a lawyer and suing ABC for the damages this bad reporting has caused — many millions of dollars!” Trump wrote. In one of his tweets Saturday, Trump said part of the rationale for firing Flynn was that he had lied to the FBI, a statement the White House later attributed to the president’s legal team. ‘‘I had to fire General Flynn because he lied to the vice president and the FBI,’’ Trump wrote. 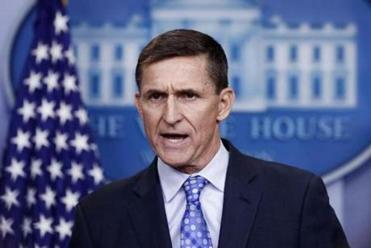 Critics pounced on the statement, arguing that if he knew at the time of his talk with Comey that Flynn had lied to the FBI and was under investigation, it may constitute an attempt to obstruct that inquiry. ‘‘Are you admitting you knew Flynn had lied to the FBI when you asked Comey to back off Flynn?’’ Walter Shaub, the former head of the federal Office of Government Ethics, asked in a tweet Saturday. On Sunday, Senator Mark R. Warner of Virginia, the top Democrat on the Senate Intelligence Committee, said Trump should have taken action against Flynn sooner if he already knew that former adviser had lied to the FBI. ‘‘Well, if he knew that then, why didn’t he act on it earlier?’’ Warner said on CNN.